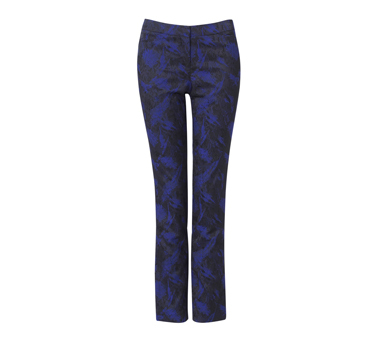 Patterned, print, baroque, textured pants and jeans are the essential item to have in your wardrobe at the moment. Because they are what I would call a ‘trend’ piece, you can buy some cheaper versions, all under $100, at most stores at the moment. Yay for sales! We are loving Jessica Alba’s look here. Basic black jacket, top, heels and handbag with statement patterned monochrome pant. One of our favourite fashion muses, Miranda Kerr looks fantastic in this easy and comfortable look. Loose patterned pant, basic tee and blazer. Love the tote bag matching the pants. For some winter warmth, I would add a white chunky knit scarf to this outfit and maybe some cute ballet flats or booties. Jessica Alba and Kimberley Walsh rocking the monochrome trend. 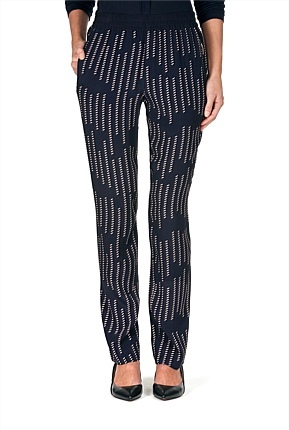 Another great patterned pants look by Jessica Alba. I love the pop of pink in the flats and scarf! Olivia Wild trying to go incognito with cute heart patterned pants, wool coat, ankle boots and felt hat. 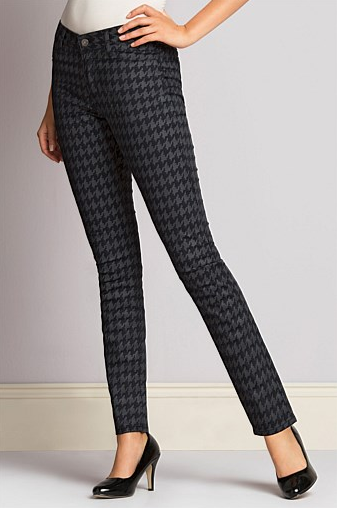 What do you think of the patterned pants look?